Opportunity knocks! 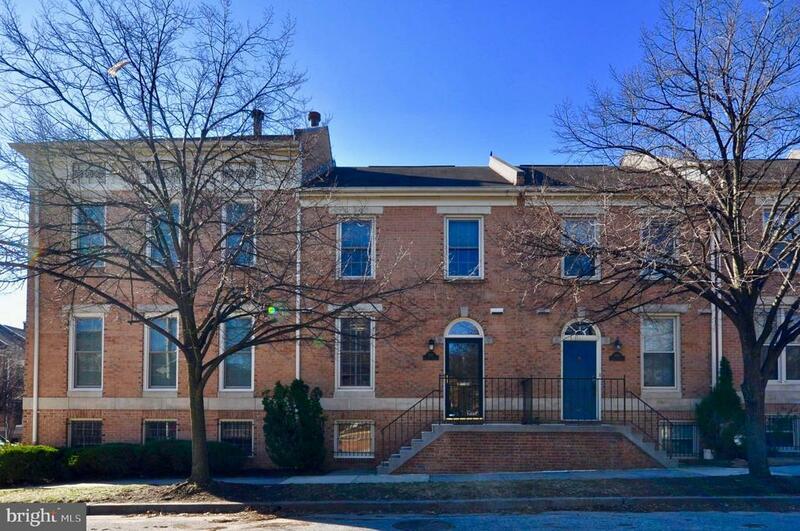 Rarely available C model with PARKING in Canton Square overlooking the community park, just 1 block from the shops and restaurants of ODonnell Square and 2 blocks from the waterfront. Original owner has lovingly maintained this home and made valuable updates over time. The beautifully remodeled kitchen uses every inch wisely and features stainless appliances, upgraded cabinets, granite counters and tumbled marble backsplash. The main level powder room has been renovated as well, and features granite counters and large format floor tile. The living/dining room is wide open and features newer wood floors, a wood-burning fireplace, a Venetian crystal chandelier, recessed lighting, and French doors to a private deck and landscaped rear courtyard. (Spring bulbs are just starting to peek above the soil.) Upstairs, 2 spacious bedroom suites both have en suite bathrooms. The rear facing suite has a walk-in closet and renovated bathroom with plenty of cabinetry for storage. The huge front facing suite could easily be converted into 2 smaller bedrooms if you prefer. There is a full, unfinished basement with what appears to be a bathroom rough-in plus a washer and dryer. Heres where the opportunity lies, and its the reason this house is priced $40K below comparable C model sales in Canton Square. You have the ability to finish the basement in your preferred style and configuration, and increase your living area by up to one third. The front facing bedroom suite could use a partial bathroom remodel (really, just a new vanity and wall covering would work wonders), and the carpet upstairs should be replaced. A painter will remove wallpaper and transform the house into your preferred shades, et voila! You will have a house thats perfect for you and you will have paid below market. Do not sleep on this one. It is sure to be snapped up quickly!